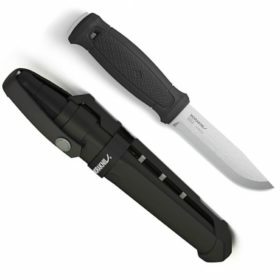 Blade of stainless steel with a black ED-coating which gives the blade a dark-colored layer, approximately 20µm thick. When used, the primary edge will eventually be scraped off and thereby reach maximum sharpness. Not for use with fire starter. 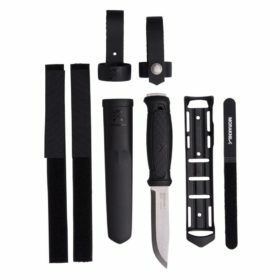 Black MOLLE-compatible sheath of heavy-duty nylon. 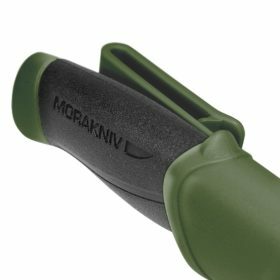 The Morakniv Companion Tactical has a black coated blade and a Molle Compatible sheath. 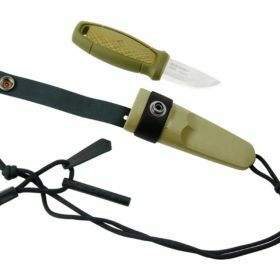 It is an all-in-one knife for outdoor enthusiasts with a patterned, high-friction grip that makes it comfortable to hold and easy to handle. 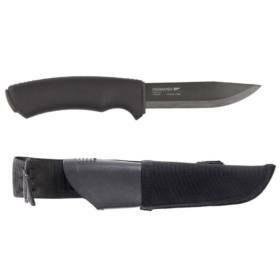 The Companion Tactical features a 4.1-inch (104 mm) blade of hardened Sandvik 12C27 stainless steel with a three-quarter tang for outdoor and tactical applications where knives are commonly exposed to dirt and moisture. 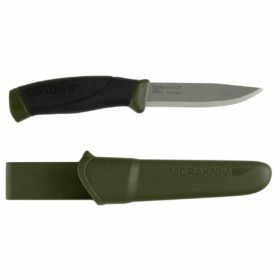 In this upgraded, edgier version of Morakniv most popular tactical knife, the blade has been treated with a black ED coating. 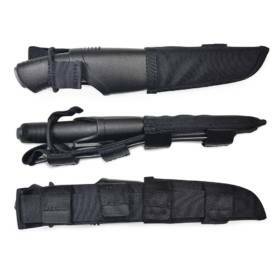 Additionally, the knife sheath is now MOLLE compatible thanks to the black, strong nylon cover. 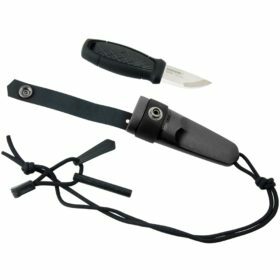 You simply mount it on your rucksack or jacket and get yourself going. Stainless steel knives are less susceptible to corrosion and oxidization than carbon steels, giving them a longer life overall, plus they maintain edge sharpness for optimum cutting performance. 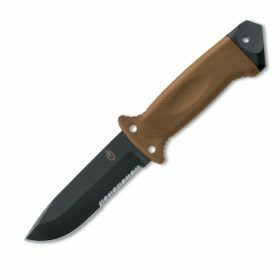 The Companion Tactical will perform well with camp food preparations, creating tinder, cutting small limbs, and much more. 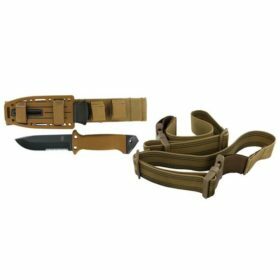 Includes a MOLLE-compatible sheath of heavy-duty nylon.